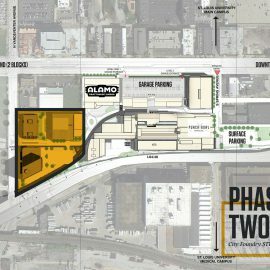 If all goes according to plan, Forest Park Parkway and Kingshighway will be an at-grade intersection in a year and a half. The sunken Forest Park Parkway will be raised to the level of Kingshighway, creating a four-way signalized intersection. 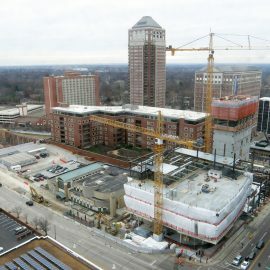 The design and approval process has been working its way through the Forest Park planning process for more than a year. 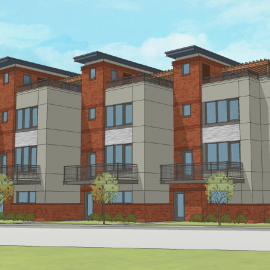 Final approval is expected in June of next year. 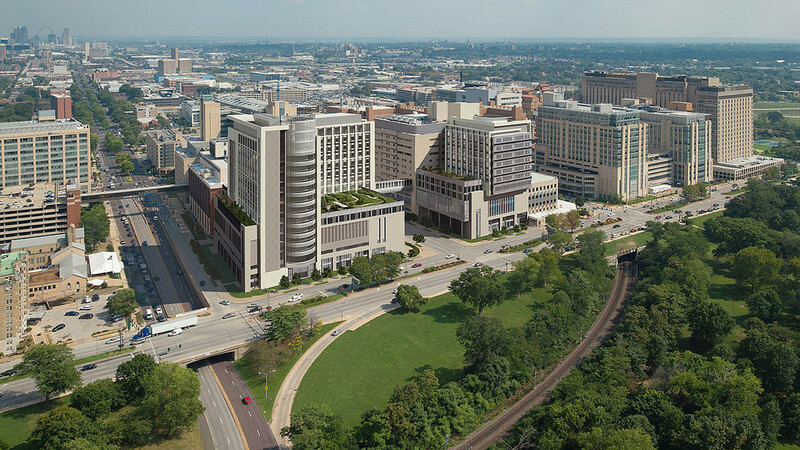 The $10M project will be funded by $7.5M from BJC Healthcare and $2.5M from On-System Bridge Program (BRM) and Surface Transportation Program (STP) federal funds. The transformation is part of the BJC and Washington University Medical Center Campus Renewal Program. The purpose of the project is to provide functional access and circulation at the medical center. The current design allows only a right turn onto Kingshighway from eastbound Forest Park Parkway. A left turn into the medical campus requires merging across three traffic lanes. Westbound Forest Park Parkway cannot be accessed from Kingshighway. This results in northbound Kingshighway traffic being unable to access westbound Forest Park Parkway. 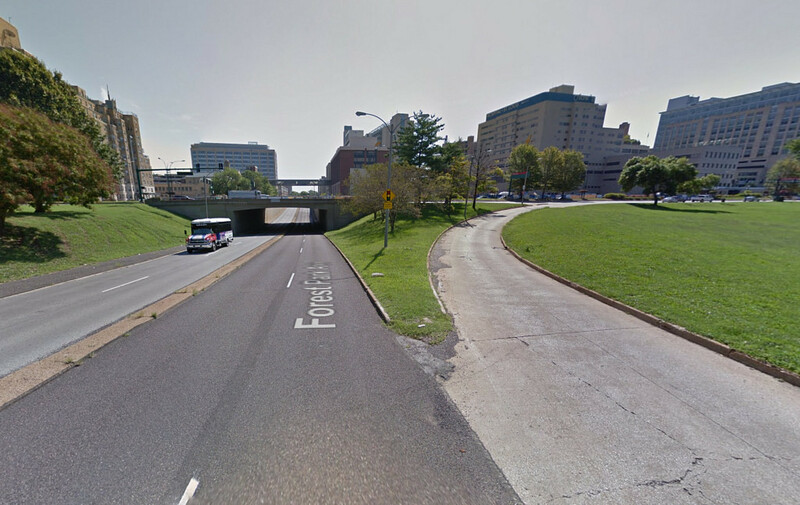 Westbound traffic can enter Forest Park Parkway one block east at Euclid Avenue. Two one-way, one lane access streets run alongside the sunken parkway. Eastbound Forest Park Parkway traffic is pushed to Euclid Avenue, a smaller two-lane neighborhood commercial street one block east. Northbound Kingshighway traffic wishing to travel west bypasses the parkway and turns left onto West Pine Boulevard, which cuts off a corner of Forest Park, then left onto Lindell Boulevard. Southbound Kingshighway traffic likewise must turn onto Lindell to go west, or continue south to I-64. Beyond creating limited and confusing traffic movements, the arrangement has created a dead streetscape. 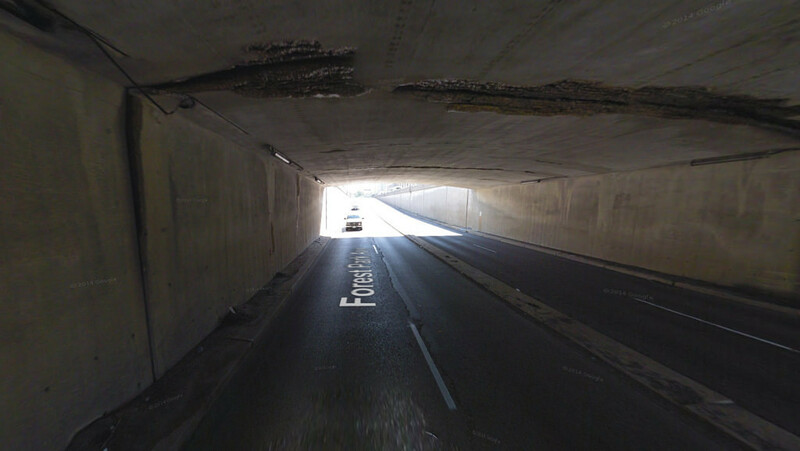 The block from Kingshighway to Euclid is uninviting and inhospitable to cyclists and pedestrians. 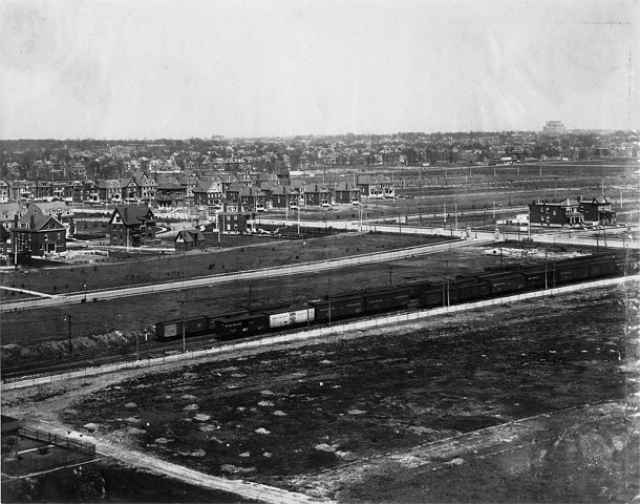 What is a significant intersection of a major city avenue with the more than 1,300 acres of Forest Park, has been something of an anonymous wasteland. 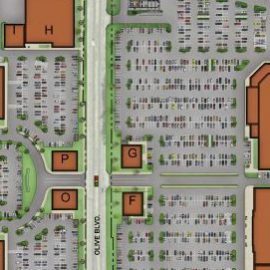 An at-grade intersection will better connect the Central West End neighborhood and medical campus to Forest Park, erasing a suburban form in the middle of the city and reclaiming an urban block. Drivers will now arrive at the medical center, Central West End, and city at Kingshighway. All users will have a recognizable and understood urban form to navigate. 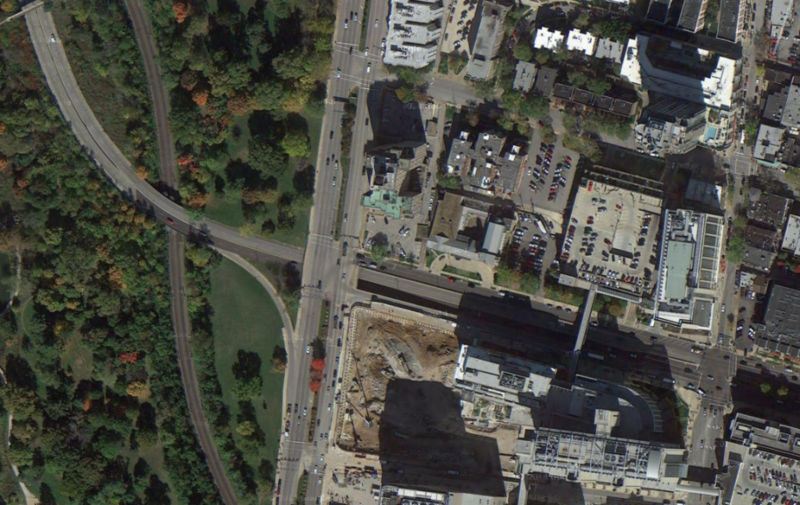 The project envisions a new multi-use path, similar to existing paths in Forest Park, weaving under the parkway immediately west of Kingshighway. 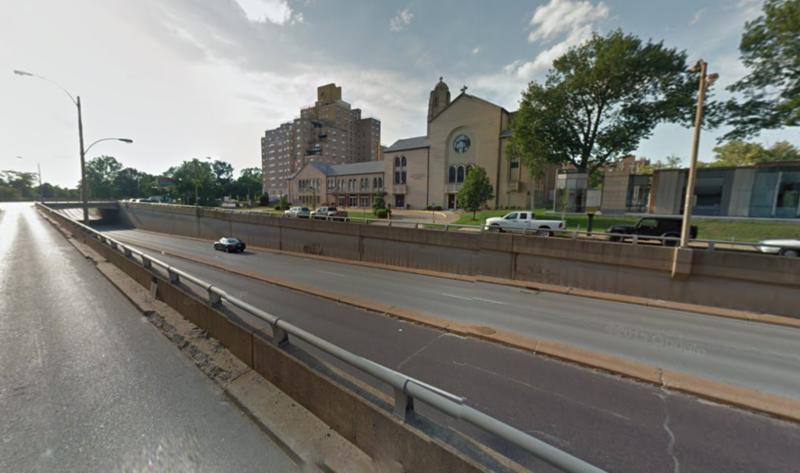 The path would allow users to bypass crossing the parkway on the west side, and would align with Laclede Avenue to the north, and Parkview Place to the south. 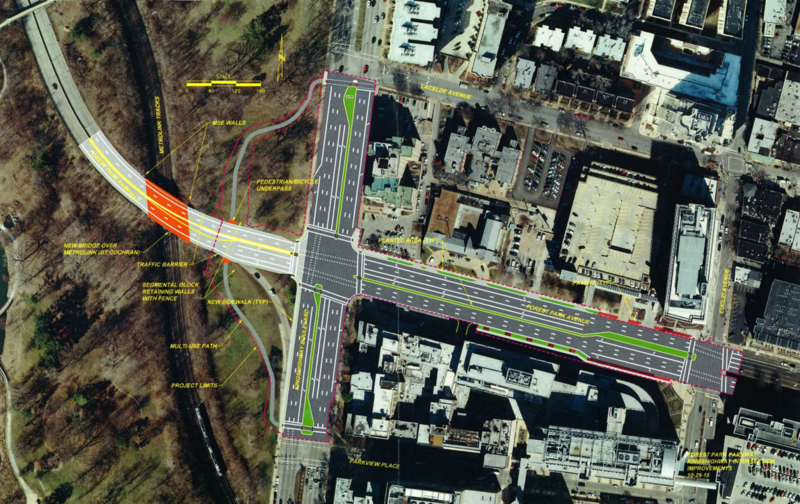 While providing better and more clear access to pedestrians and cyclists, plans show nine traffic lanes on Kingshighway. North and south bound traffic would have two left turn lanes, three through lanes and one right turn lane. Forest Park Parkway westbound shows two left turn lanes, two through lanes and one right turn lane. Eastbound shows the same, but with one left turn lane. The existing infrastructure is clearly crumbling. 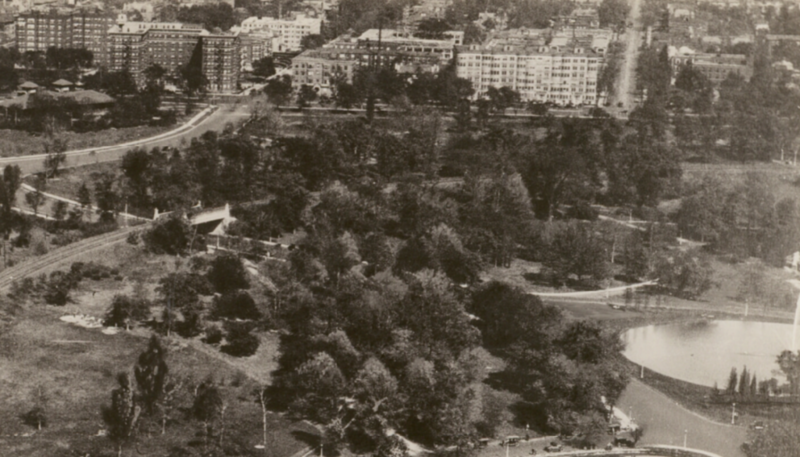 Construction on the Forest Park Parkway began in 1959. 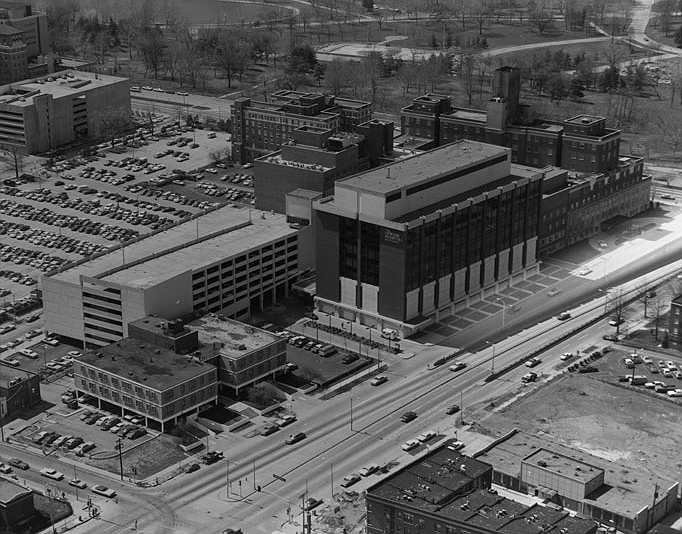 Eventually it would cobble together past streetcar right-of way, heavy rail right-of-way, existing streets, and cut a path through the Mill Creek Valley to connect Market Street in downtown St. Louis with suburban Clayton. An inspection of the parkway’s bridge over MetroLink in the park found it to be structurally deficient. 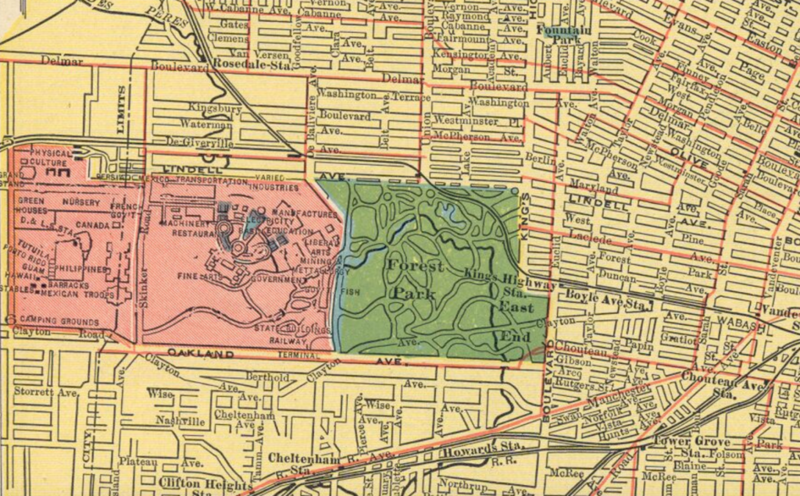 Before 1959, Forest Park Avenue terminated at Kingshighway. Vehicles could enter Forest Park on Clayton Avenue to the south, and West Pine Avenue to the north. Both entrances exist today. 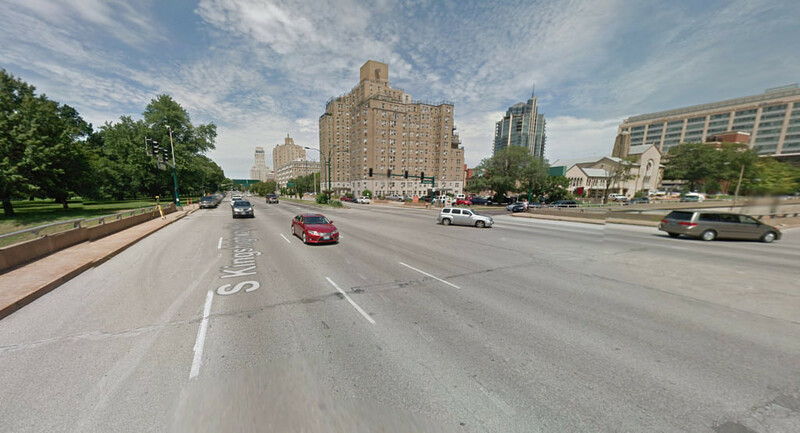 The parkway didn’t exist east of Skinker Boulevard at the west end of Forest Park either. 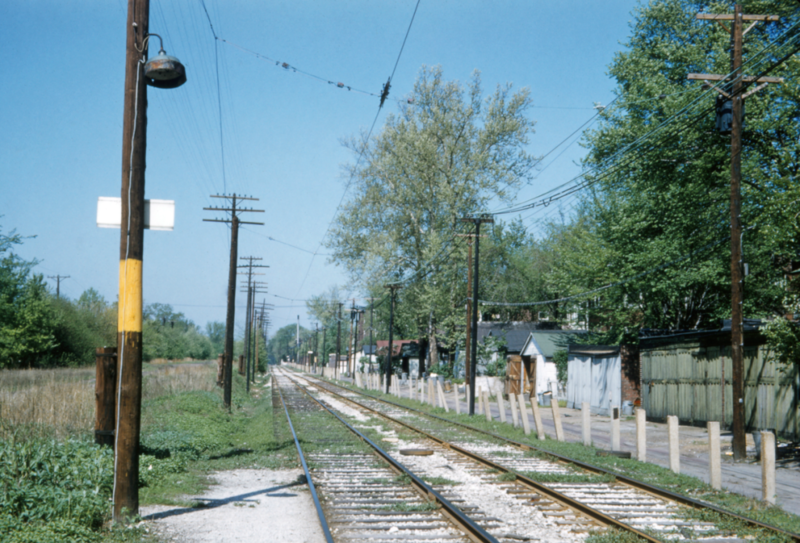 The corridor’s first development was as a heavy rail line prior to 1900, part of the Wabash and Rock Island systems. At the time, streetcar lines ran on parallel streets such as Pershing Avenue. Later, streetcar lines would replace the heavy rail. They would be retired, Forest Park Parkway built, and eventually see rail transit return with the current MetroLink Red and Blue Lines. 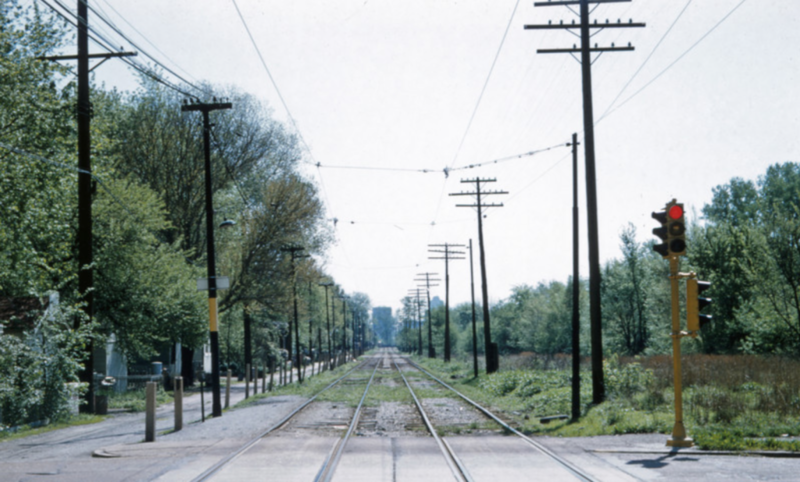 The parkway followed this heavy rail line through the park in 1959, deviating just west of Kingshighway near Round Lake, crossing over the rail line to connect with Forest Park Avenue. 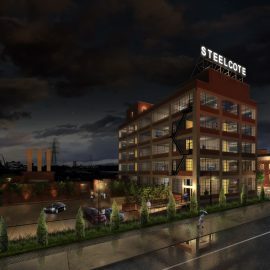 The project was part of a much larger urban renewal effort in St. Louis which saw the expansion of Interstate highways through the city, the wholesale demolition of the Mill Creek Valley, and priority given to automobile infrastructure. Slowly, St. Louis is beginning to correct some of these mistakes. The intersection of Skinker and Clayton (and McCausland and Oakland) at the southwest corner of Forest Park was recently remade. While the result is basic, the project brought pedestrian crosswalks to the intersection for the first time in half a century. The New I-64 replaced the expansive suburban cloverleaf at Kingshighway with a much more compact single-point interchange. Forest Park Avenue remains an awkward urban renewal legacy further east at it ducks under Grand Boulevard and weaves and winds its way to connect with Market Street and I-64. Bringing that intersection to-grade is on the city’s radar as well, awaiting funding. Support from BJC triggered to remake at Kingshighway now. The 1995 Forest Park Master Plan included consideration of an at-grade intersection at Kingshighway, calling for a redesigned intersection to facilitate better access to the park and parkway for vehicles, cyclists, and pedestrians. 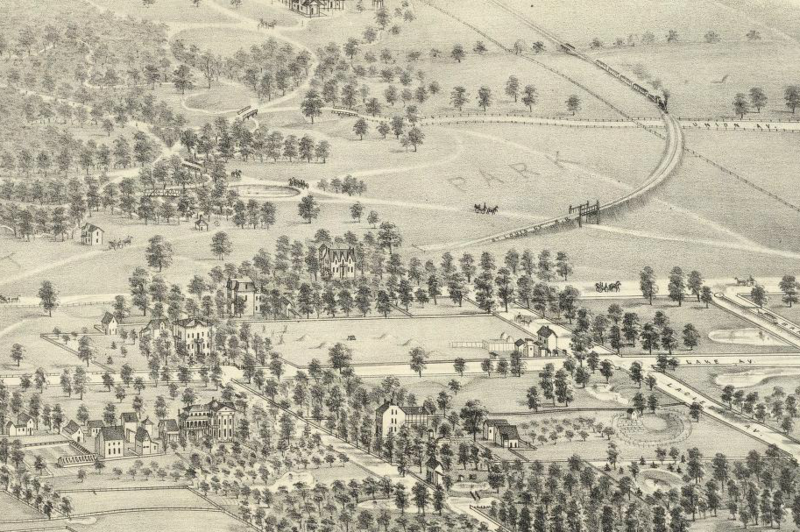 The recommendation was part of a larger vision to improve the eastern edge of the park.